In 1984 as we were structuring JazzErie, we needed advice. Stan Bialomizy graciously offered to call his friend, Clem DeRosa, to ask for his ongoing advice and the use of his name in building our national advisory board. 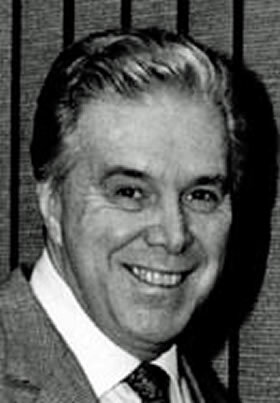 Without hesitation, Clem, the co-founder of the International Association for Jazz Education. He opened doors for us, as he did for so many, and became a lifelong friend. So Stan combined Clem's relationships with his own, and with his charming personality, created our advisory board to include amazing people such as Ron Carter, Milt Hinton, Marian McPartland and Clark Terry. Clem leaves an amazing legacy as a drummer, composer, arranger, band leader, educator, author, and so much more. He fought cancer for a long time, and died with his family in Texas on December 20, 2011, at the age of 84. I had the pleasure and privilege of chatting with Clem on many occasions - about JazzErie, American Jazz Venues, enhancing the awareness of jazz throughout North America, and life. I mentioned the great vocalist, Elli Fordyce to him last year and he immediately listened to her music, reached out to her, and invited her to join himself, Stan, Rufus Reid, Claire Daly, Ed Bride and so many others on the American Jazz Venues board. I asked Stan to talk for a few minutes about Clem and his contributions to jazz and to JazzErie. (Please excuse the unavoidable background noise.) Prepare to be amazed. 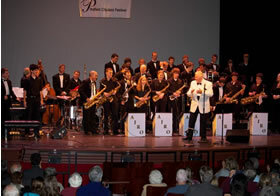 Here is a video of Clem's American Jazz Repertory Orchestra playing Cottontail. God speed, Clem. Thank you for your friendship and all that you shared with the world. Ed Bride Associates have written a great obituary for Clem on the All About Jazz site. Note: Clem had recently given me a DVD of the American Jazz Repertory Orchestra to share with the world. I'll see if by next month I can upload it for your viewing pleasure.